In this Friday, Oct. 26, 2018, file photo, then-Democratic candidate for Wisconsin governor Tony Evers speaks at a rally in Milwaukee. Evers defeated Republican incumbent Gov. Scott Walker Tuesday. Democrats tried Tuesday to fight their way back to power in state capitols across the country by reclaiming governor's seats in several key states, marking significant steps in their nationwide strategy to reverse years of Republican gains in state capitols. Still, their victories in Illinois, Michigan, Nevada and Wisconsin, were balanced by Republicans holding on to one of the top prizes, Florida, and the governor's offices in Ohio and Arizona. All three states will figure prominently in the presidential map in two years. The nation's other closely watched governor's race, in Georgia, remained too close to call Wednesday morning. Democrats' toppling of Republican Scott Walker in Wisconsin completed a sweep for the party in the upper Midwest. Walker was a top target of Democrats and a polarizing figure in his state, sweeping into office during the tea party wave of 2010 and gaining national attention by leading a rollback of union rights that led to protests inside the state Capitol. He survived a recall attempt before falling short in a bid for the Republican presidential nomination. Walker conceded to Evers Wednesday afternoon. 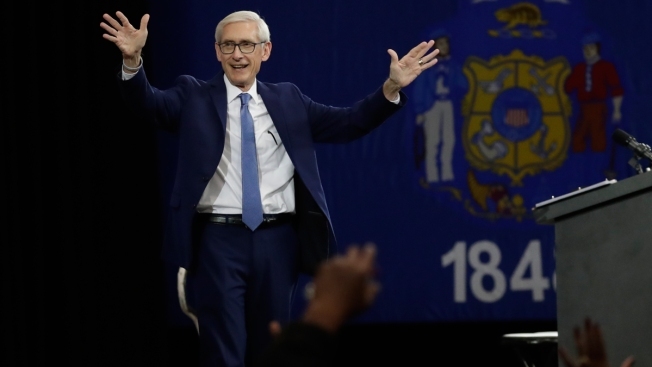 The win by Democrat Tony Evers gives his party a chance to undo some of Walker's accomplishments, including a strict voter ID law and the law that effectively ended collective bargaining for public workers. "I think the message is a simple one. A candidate with a moderate tone but progressive in thinking can win in the heartland," former Iowa Gov. Tom Vilsack, a Democrat, said. "Winning the governorships is huge in beginning the process of changing the direction of our politics." In Michigan, Democrat Gretchen Whitmer defeated Republican Bill Schuette, upending years of Republican control in the state. The former legislative leader will become the second female governor in a state where Democrats heavily targeted other statewide and legislative offices. Republican Gov. Bruce Rauner in Illinois lost his bid for a second term to Democrat J.B. Pritzker. The billionaire appears to have capitalized not only on Rauner's lack of popularity but broader dissatisfaction with President Donald Trump. In Kansas, Democratic state lawmaker Laura Kelly defeated Republican Secretary of State Kris Kobach, a close ally of Trump. New Mexico also tipped into the Democratic column, as did Maine, where Democratic Attorney General Janet Mills won the race to succeed combative Republican Gov. Paul LePage, who was term-limited after eight years in office. A total of nine polling precincts in Tennessee lost power from a storm, according to the administrator of elections with Knox County. Democrats Andrew Cuomo in New York and Tom Wolf in Pennsylvania easily won re-election, as did two Republicans in Democratic-leaning states — Larry Hogan in Maryland and Charlie Baker in Massachusetts. In Iowa, Republican Gov. Kim Reynolds broke the Democrats' run of Midwest success by being elected to a full term. In Alaska, Republican Mike Dunleavy defeated Democrat Mark Begich, NBC News projected Wednesday. Current Gov. Bill Walker, an independent, had dropped out of the race in the final days and thrown his support to Begich after his lieutenant governor resigned. Walker supported Begich. In all, voters were choosing 36 governors and 6,089 state legislators in general and special elections that have attracted record amounts of spending from national Democratic and Republican groups. 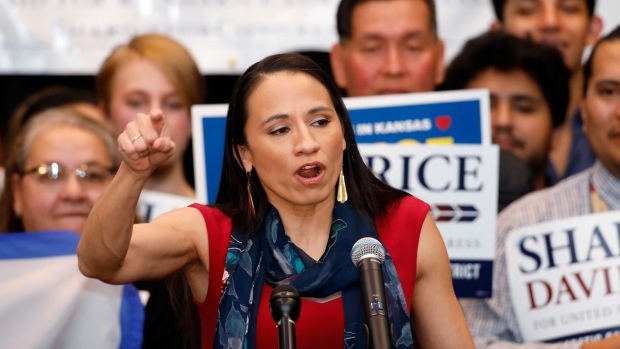 Republicans are in control more often than not in state capitols across the country, but Democrats were trying to pull a little closer in Tuesday's elections. The political parties are trying not only to win now, but also to put themselves in strong position for the elections two years from now that will determine which party will have the upper hand in redrawing congressional and state legislative districts. Voters in Colorado, Michigan and Missouri approved ballot measures Tuesday overhauling the redistricting process in ways that are intended to reduce the likelihood of partisan gerrymandering by either major party. A redistricting ballot measure also was on the ballot in Utah. The Democrats took control of the House of Representatives and the Republicans held on to the Senate. 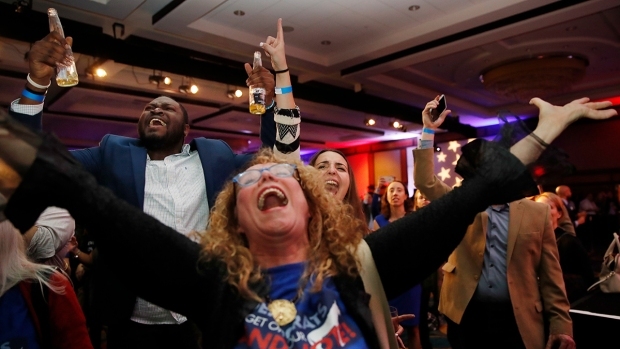 But there were other big moments that transpired on Election Day 2018. Republicans entered Tuesday's election with a sizable advantage, controlling two-thirds of the 99 state legislative chambers and 33 governors' offices. The GOP held a trifecta of power in 25 states, compared with just eight for Democrats. Democrats likely will gain full control in Illinois and New Mexico by winning the governor's races. The Democratic victories in Kansas and Michigan will break up Republican trifectas. Republicans were largely on defense but had been angling for gains in a few traditionally Democratic states, such as Connecticut. But Connecticut Republican Bob Stefanowski conceded the race to Democrat Ned Lamont on Wednesday morning, and NBC News called Lamont the apparent winner in the race. The governor's races have extra emphasis in 28 states where the winners will serve four-year terms with the potential power to approve or reject district boundaries drawn for Congress or state legislatures. The Democratic Governors Association had focused on nine swing states — Colorado, Florida, Georgia, Maine, Michigan, Nevada, Ohio, Pennsylvania and Wisconsin — where it believes the governorships could be pivotal in congressional redistricting. As of mid-October, the Democratic Governors Association and its affiliated entities had raised $122 million during the past two years — a record outdone only by the Republican Governors Association's new high mark of at least $156 million. The Democratic Legislative Campaign Committee and Republican State Leadership Committee, which focus on state races, also set record fundraising targets. The National Democratic Redistricting Committee, led by former Obama administration Attorney General Eric Holder, has pumped additional money into state races viewed as critical in future redistricting decisions. Associated Press writer Thomas Beaumont contributed to this report.